Born in Ironbridge, Shropshire, he played in the wing-half and other defensive positions. 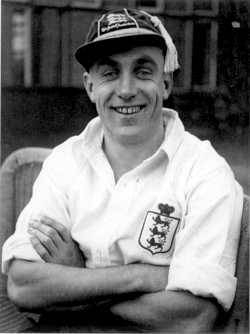 Wright was the first ever player to represent his country a hundred times. 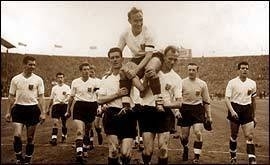 He captained England during their campaigns at the 1950, 1954 and 1958 World Cup finals. 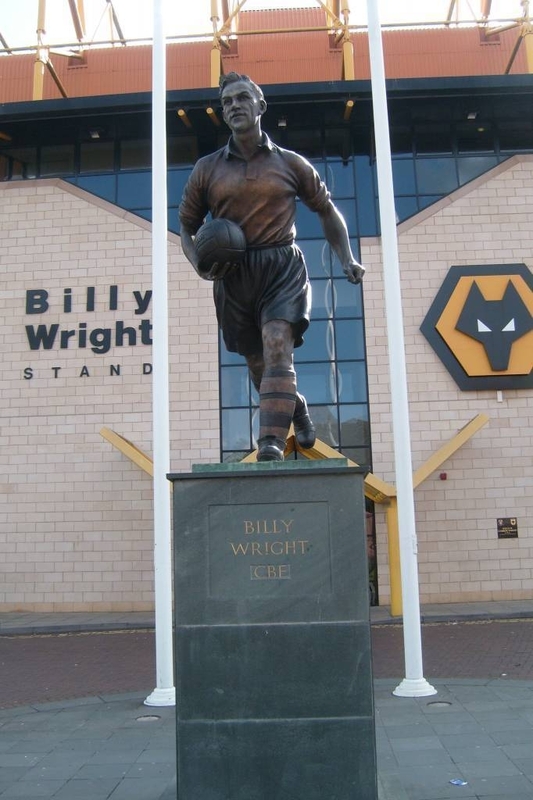 His association with Wolves began in 1934 when he was taken on as a member of their ground staff. He was only 14 years old when he made his debut for Wolves in a B team game against Walsall Wood in the Walsall Minor League after being accepted on an eight month trial by Major Frank Buckley. He made his first team debut for the club aged just 15 in a 2-1 win at Notts County in 1939. 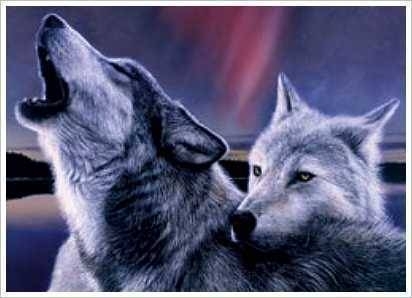 He signed as a professional at 17, but the deepening effects of World War ll soon forced Wolves to suspend competitive football. Wright turned out as a guest for Leicester City, playing as both a forward and a defender before he returned to Molineux in 1942. He joined the army in 1943 as a Physical Training Instructor, playing for Wolves whenever possible, making over 100 appearances in wartime football. 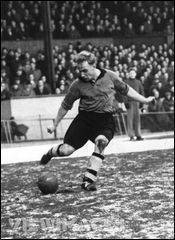 He became club captain soon after the end of the conflict, with the playing retirement of Stan Cullis. 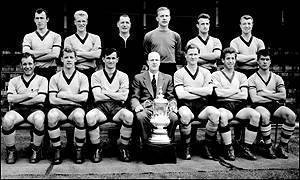 With Wright leading the team, they won the First Division title three times (1954, 1958 and 1959) as well as the FA Cup in 1949. He was a virtual ever-present, missing only 31 games for Wolves during the 1950s. His performances for club, saw him earn a call-up to the England Team. He made his international debut on January 19, 1946 in a 2-0 win over Belgium in a 'Victory International' (wartime). 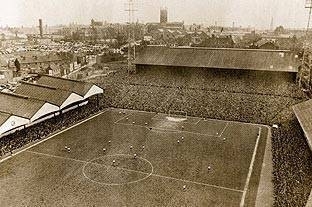 His full debut came on September 28, 1946 in a thumping 7-2 win against Ireland. He was made captain in 1948, a role he held for 90 games until his retirement (an all time record shared with Bobby Moore). In total, he made 105 full international appearances (70 consecutive), scoring 3 times. 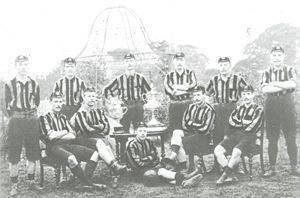 He was also the first football player in the world to earn 100 caps, and it was more than a decade before his record was broken by another player,Bobby. As of 2008, Wright remains the fourth most capped player ever to have played for England, after Peter Shilton (125), Bobby Moore (108) and Bobby Charlton (106). second to none — he was never cautioned or sent off by any referee. He became manager of England's youth team in 1960, before being appointed manager of Arsenal in 1962, replacing George Swindin. Initially Arsenal started strongly under Wright, finishing seventh in 1962-63 and qualifying for Europe for the first time in their history, but failed to build on this. Wright enjoyed mixed success with his signings, who included successes such as Bob Wilson, Joe Baker and Frank McLintock, but also less successful players such as Ian Ure. Arsenal were unable to improve on their seventh in Wright's first season in charge, and their form gradually decline. Wright only won 38.46% of his matches in charge, the lowest rate for any post-war Arsenal manager (caretaker managers excepted). After a poor 1965-66 season — where Arsenal finished 14th and were knocked out of the FA Cup by Blackburn Rovers (who finished bottom of the First Division) — Wright was dismissed by the Arsenal board in the summer of 1966.
and he reacted almost childishly to criticism". Wright was a minor media personality, and his marriage to Joy Beverley of the Beverley Sisters (at a time long before the era of footballers being known for having celebrity girlfriends) was one of the most successful showbiz marriages. After leaving management, he became a television pundit and Head of Sport for ATV and Central Television, before retiring in 1989. However, the following year, he joined the Board of Directors at Wolverhampton Wanderers as part of the takeover by Sir Jack Hayward. He died from stomach cancer on 3 September 1994, aged 70. 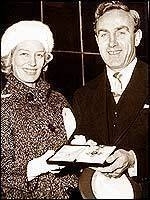 Wright was awarded the CBE for services to football soon after his retirement in 1959. He was made an inaugural inductee of the English Football Hall of Fame in 2002 in recognition of his impact on the English game. He was named the Midlands' greatest footballer by BBC Midlands Today following a public vote in May 2007. 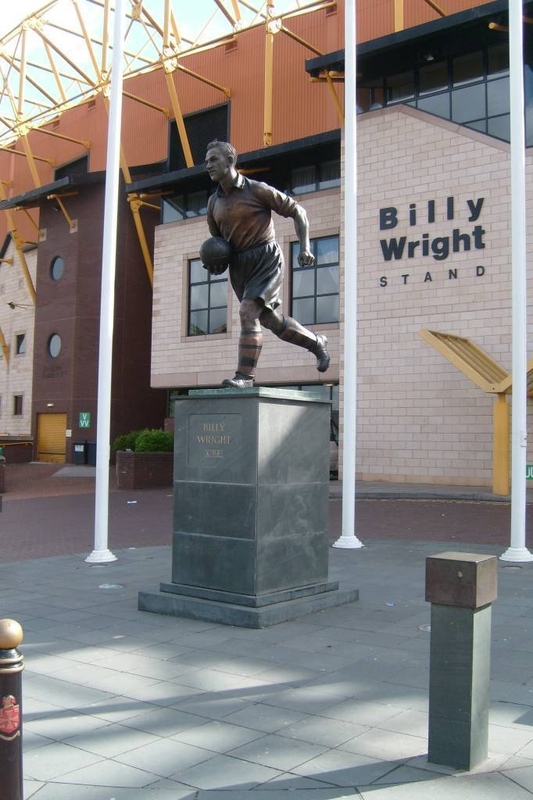 A statue of him was erected beside Wolves' Molineux Stadium in memory of him in 1996, three years after the completion of a stand at the stadium named in honour of him. Wright did live to see the stand being named after him, but had died by the time the statue was erected. Brian Glanville. 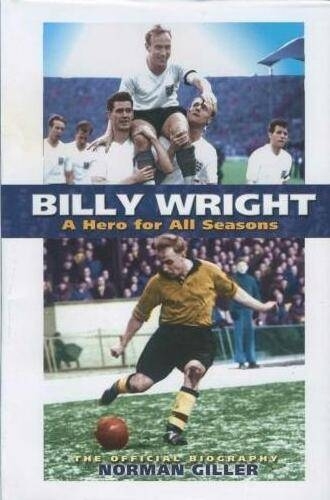 Billy Wright or Wrong?